Mr Rountree formerly worked for Bonhams and Christie’s and opened his gallery in Chelsea in 2009. Mr Swann also started life in the major auction houses, founding his first gallery in 1975. In 1995, he joined forces with Aylmer Tryon and, in 2000, acquired the business of the Malcolm Innes Gallery at 7, Bury Street, London SW1, where the new venture is based. 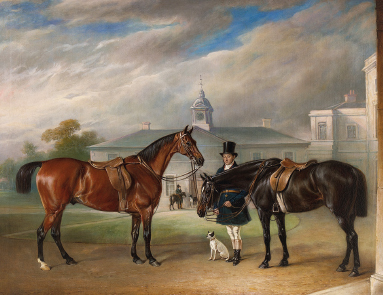 The Rountree Tryon Galleries (020-7839 8083; www.rountreetryon.com) will be at the CLA Game Fair (July 19-21).